With more than 10000+ prestashop themes availabe over the internet. It's very difficult which to chose or not. 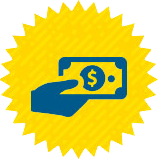 PrestaShop offers a free, fully scalable, open-source e-commerce solution. And it is currently used by 250,000 shops worldwide and is available in 60 different languages. With a multi-functional software for e-stores and optimizable theme, you can create an online e-commerce store quickly. To get the most out of it, here are some of the best PrestaShop themes which come with all the features a store owner needs. 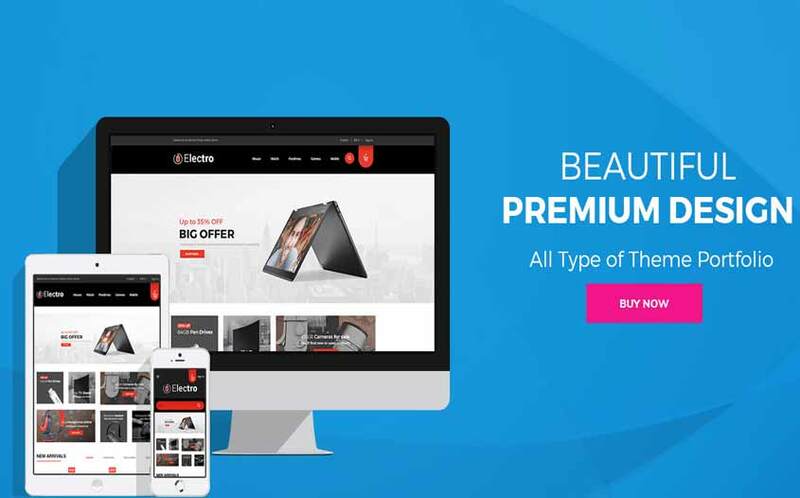 These theme have various built-in features and many other functionality which can help you create a e-commerce website and boost your business online which also include responsive view on mobile and other resolutions. 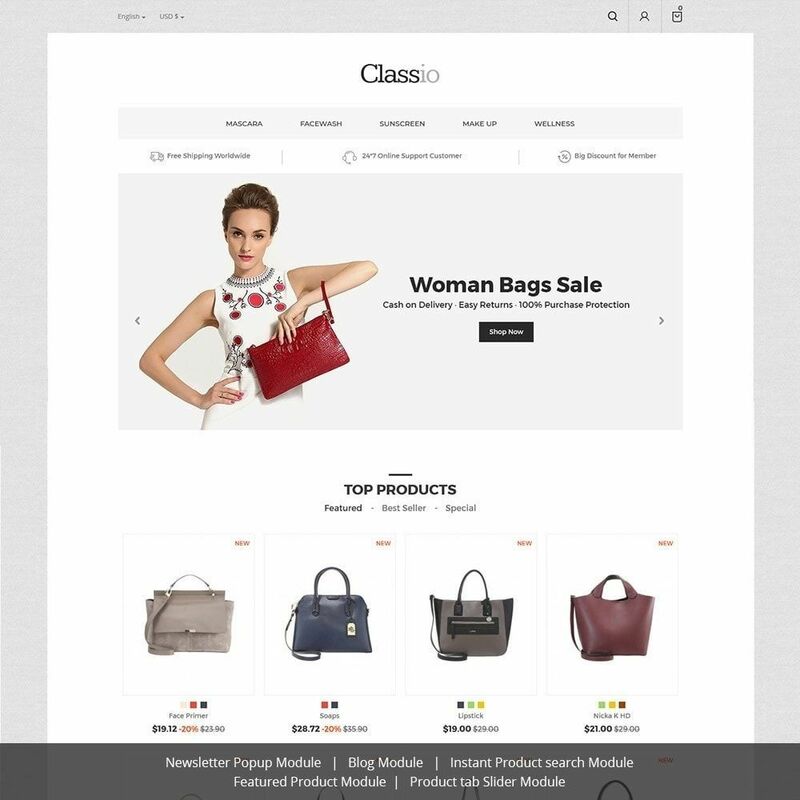 Classio Bag Fashion Store Responsive Theme is designed For Fashion Theme, Apparels Store and Multi-purpose Store. It is a very simple and sober Theme with great features and functionality. 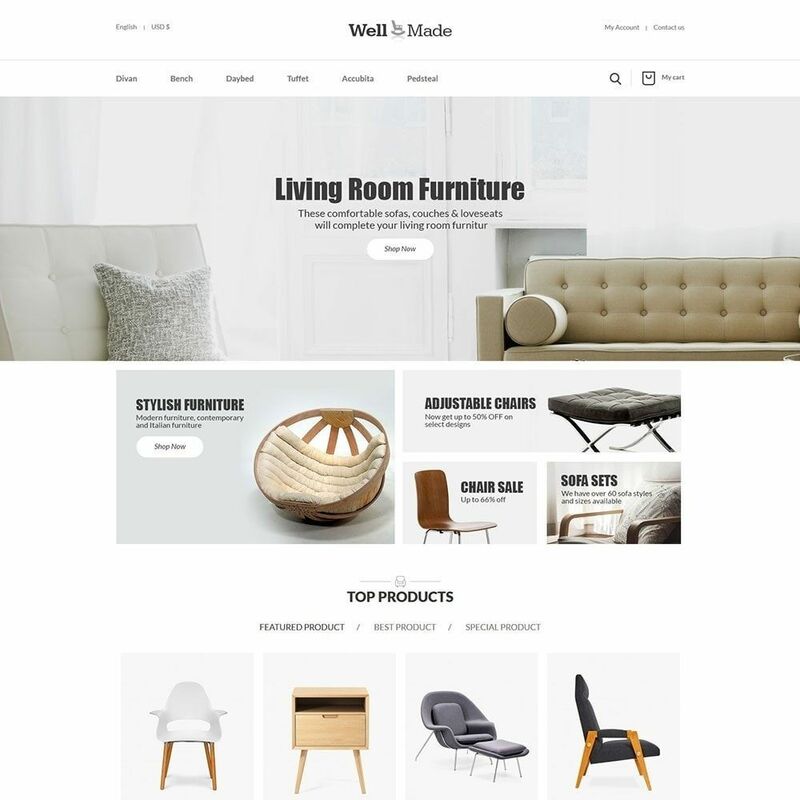 Wellmade Light Furniture Store Responsive Theme is designed for Mega Decor, Modern Furniture and many more. It provides a sleek design to your online furniture store with easy to use and install. 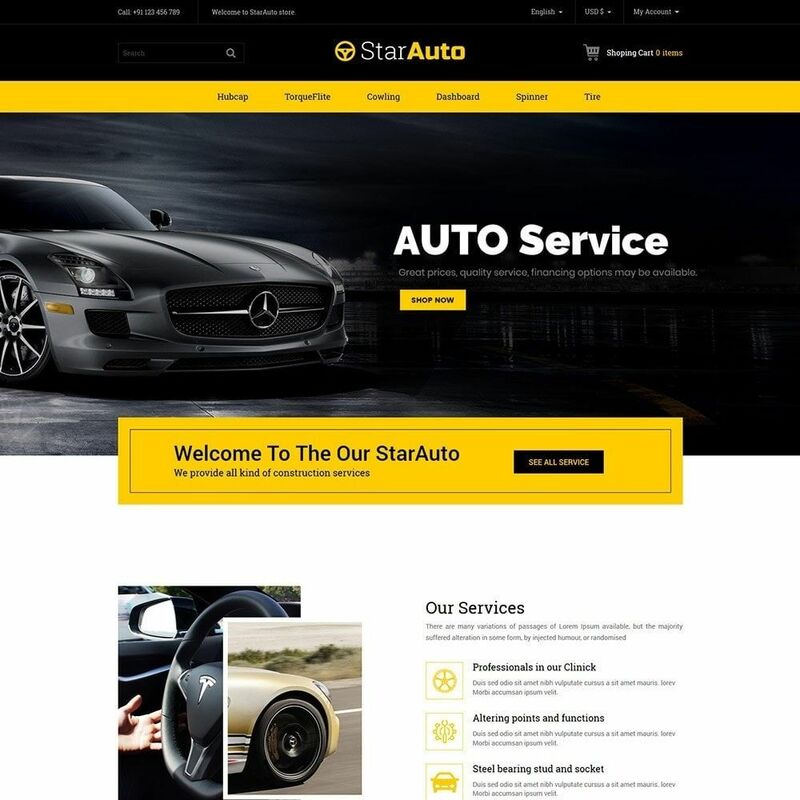 Need for a Online Motor Store, Auto Car Tool Store Responsive Theme is designed for Tools store, Mega Tools and Automotive store. It gives a stunning look to the website by it's color combination and user interface. 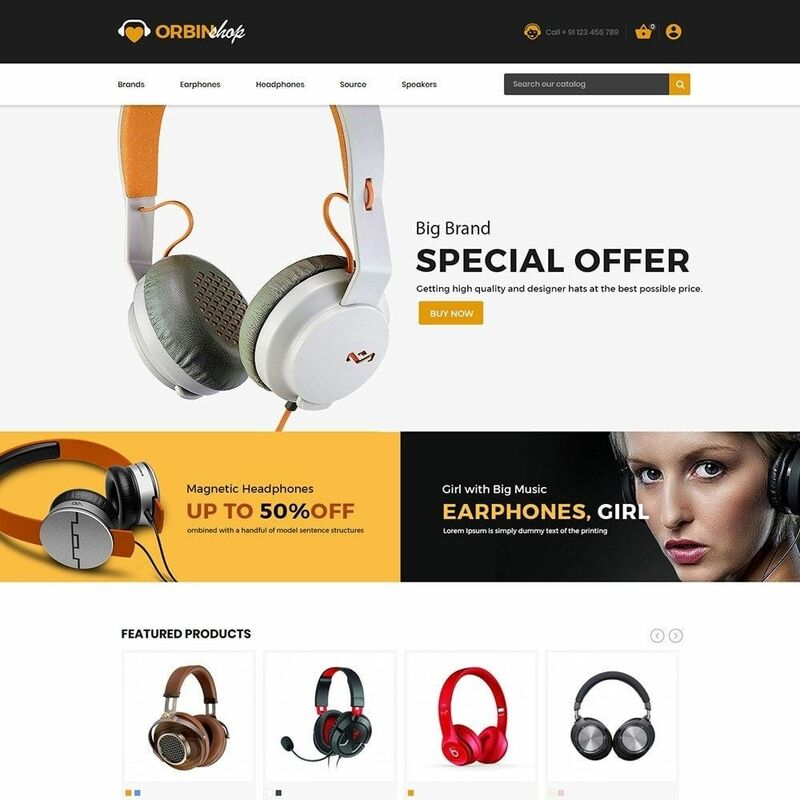 Orbin Electronics Store Responsive Theme is designed for Mega Electronics, HeadPhones and Accessories. It has great functionality and user-interface and provides variety of products. 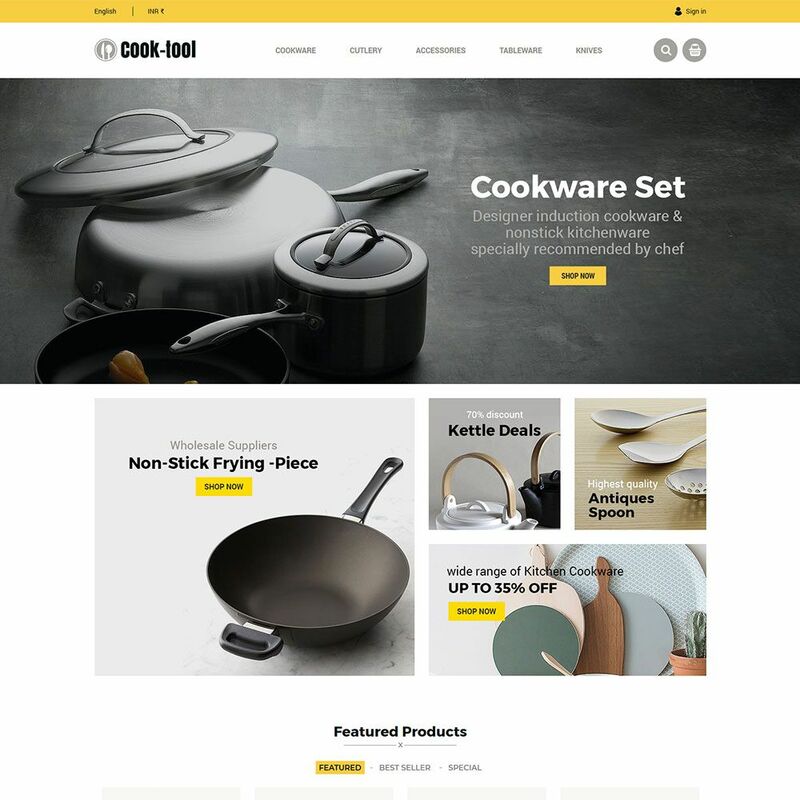 Cook Tool Prestashop Responsive Theme is designed for Watches,Cook,Kitchen, Clock, Wall clock and Accessories. It has a beautiful design and nice color combination to match the product type and category. 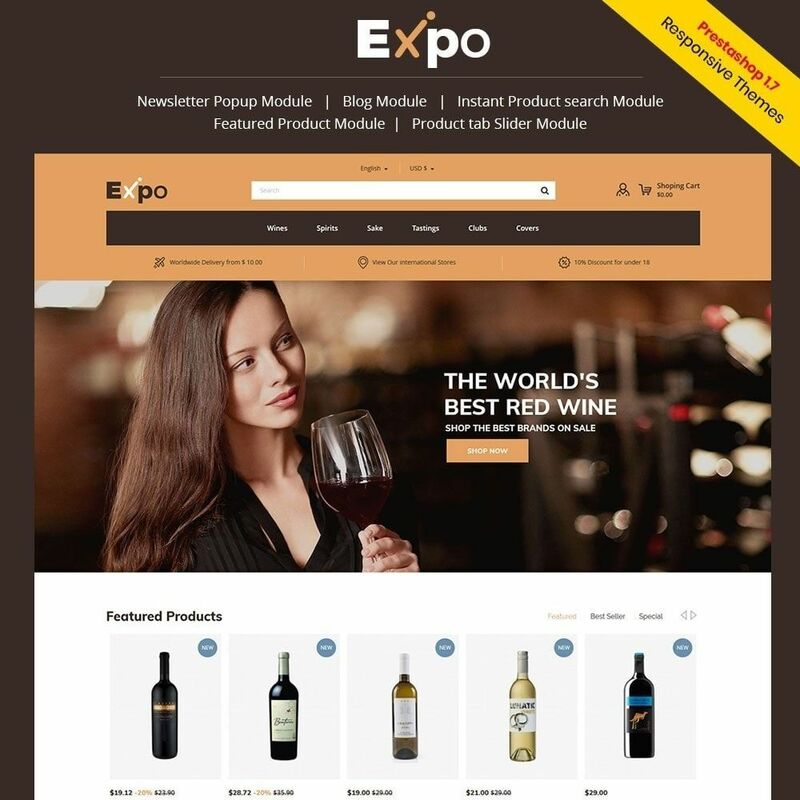 Wine Store Responsive Theme is designed for Fruit store, Wine Store and Juice Store. It has dark colored theme with exclusive features like responsive and mobile friendly experience for user. 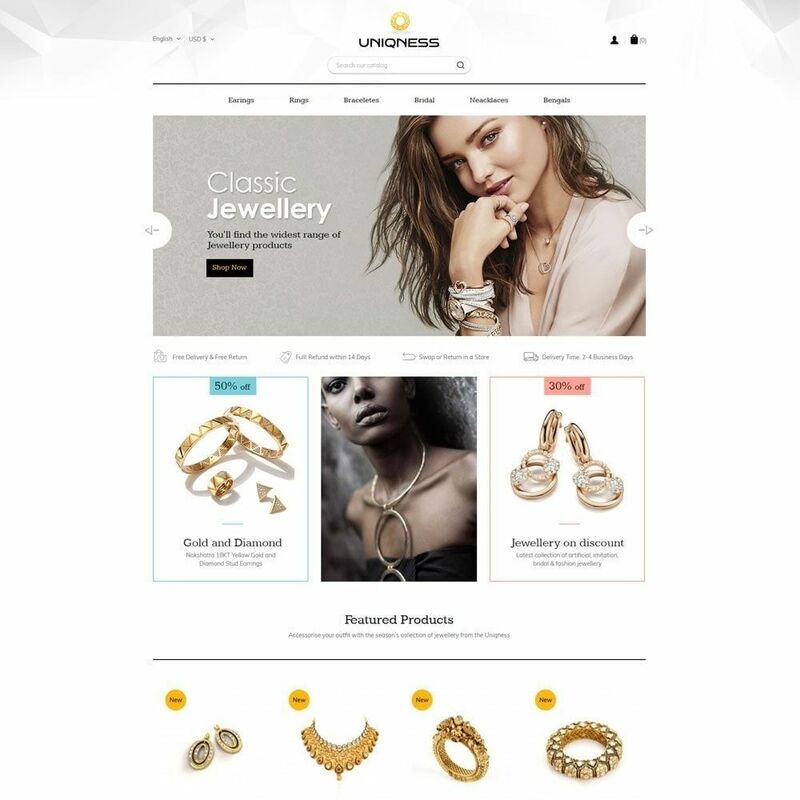 In the name itself, Jewelry Store Responsive Theme is designed for Modern Jewellery, Diamond Jewellery and Luxury Jewellery. It has a very unique design and color combination to attract the viewer's to the template. 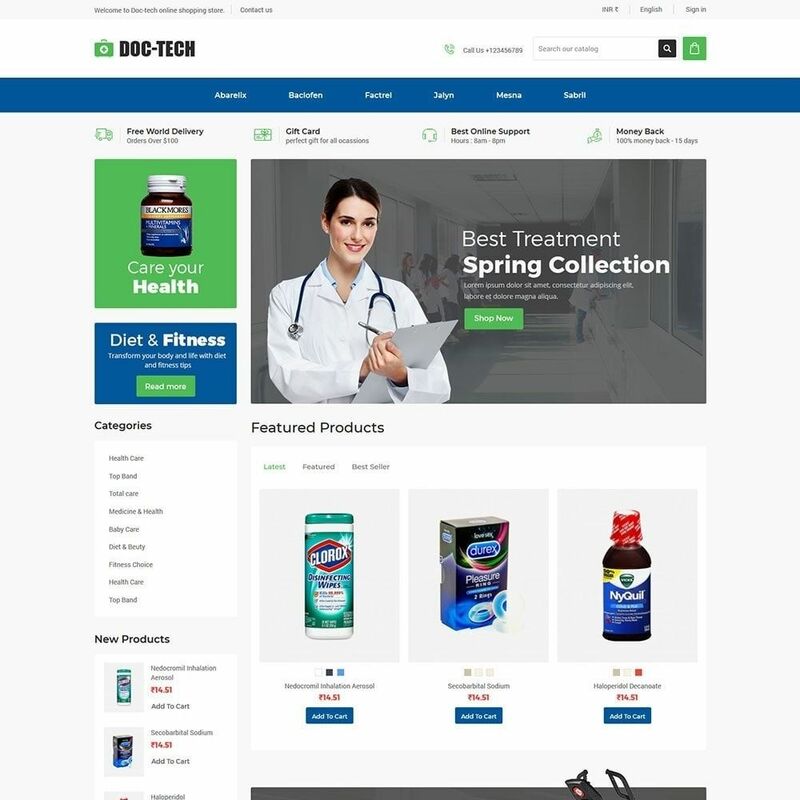 Doctech Medical Store Responsive Theme is designed for Medicine, Vitamin and Drug related items. It has many feature and functionality regarding the health and fitness. It also provide online support for the user regarding any issue. 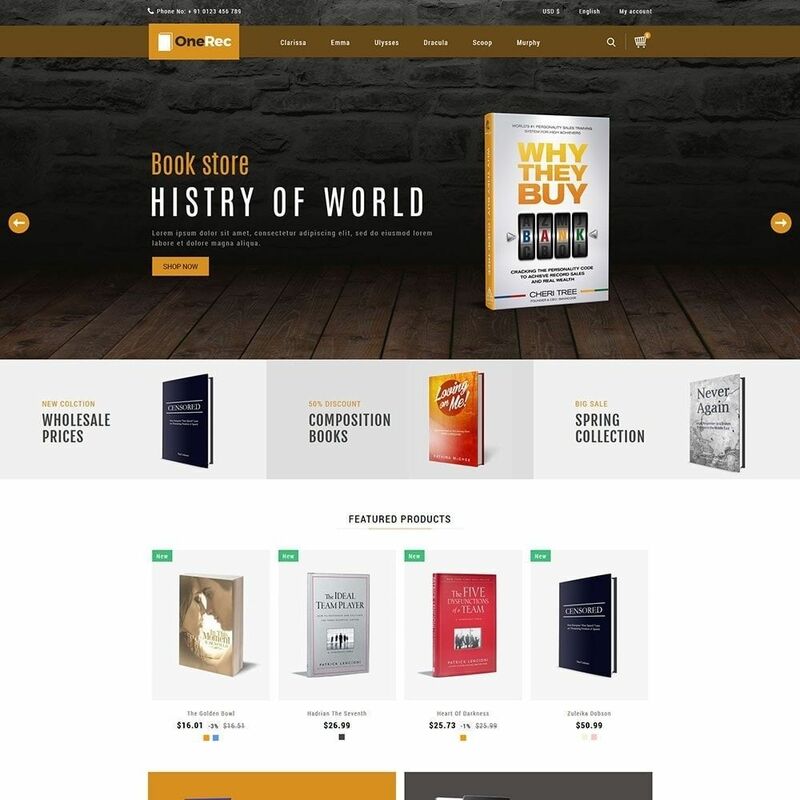 OneRec Book Store Responsive Theme is designed for Library, Online Ebook and Education. This e-commerce madness helps creating online bookstores to sell hardcover books or e-books but people still love to read regular book over e-book because of health of the eyes. 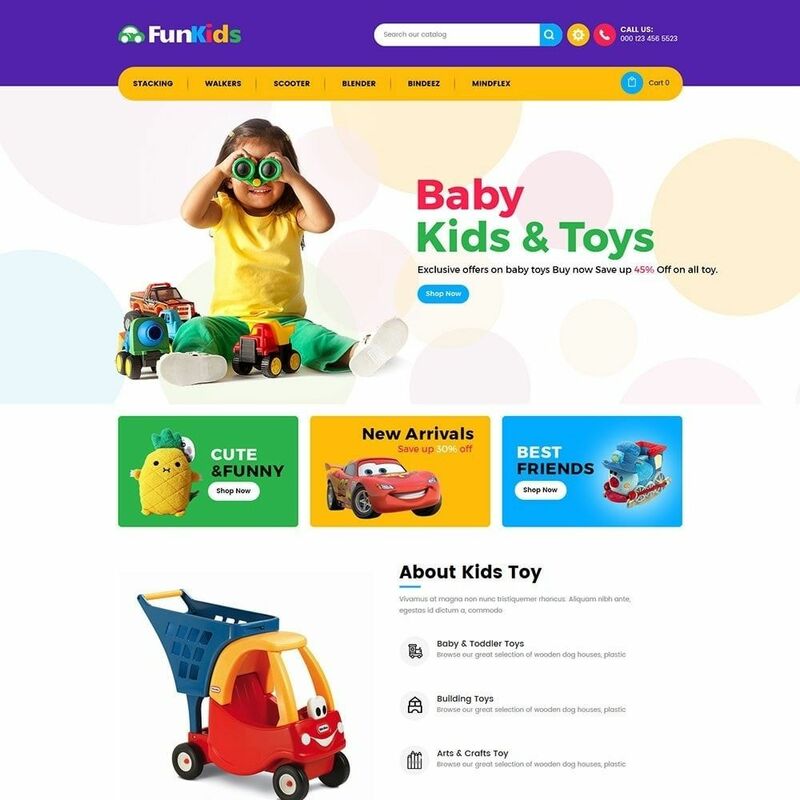 Fun Kids Toy Store Responsive Theme is design for kids toys, Baby toy Store and Kids Toy Mega Store. It has a very colorful combination with easy user interface. You may like this color and combination for your Toy Store. If you are running any kind of kids website, kids game, toy store than this themes are probably your best bet.